Lakanto is a sugar substitute that is a really big deal. It’s a one to one replacement for white sugar that tastes the same exactly. With options like this, why would we ever eat processed sugar? The Japanese have been using this alternative sweetener for years with fast growing popularity there. Lakanto sugar contains Erythritol and Monk Fruit in the exact balance required to make it tastes almost exactly like sugar. You can literally replace standard sugar with one-to-one measurements of Lakanto in all of your recipes henceforth. Can you imagine the health benefits of removing such a toxic substance. 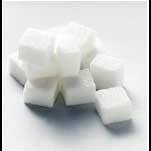 For those of you that don’t know, white processed sugar slams the gas pedal to the floor on the aging process. Those REALLLY REALLY old looking people who aren’t actually that old, usually ate LOTS of processed sugar but they aren’t really that old you find out. Whoa, you’re only 35, you look about 70 man, you should cute out all those sweets before you look 90. “The first ingredient in Lakanto is Erythritol. It is similar to Xylitol in the way it is made. However, in the body, Lakanto’s Erythritol is absorbed into the bloodstream in the small intestine, and then excreted unchanged in the urine. Only about 10% enters the colon. Because 90% of Erythritol is absorbed before it enters the large intestine, it does not cause laxative effects or gas, as are often experienced after consumption of other sugar alcohols (such as Xylitol and Maltitol). Oh yea, it also takes just like…white sugar!